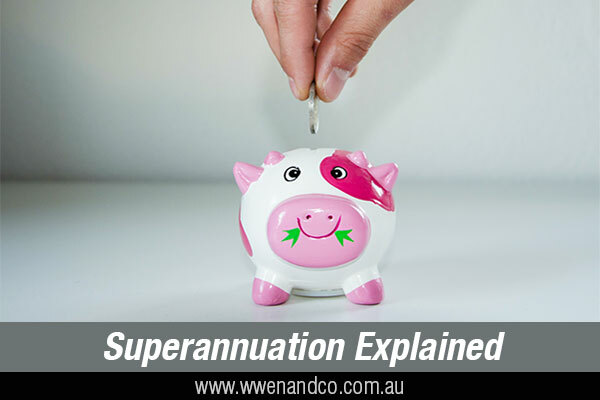 Superannuation, commonly known as super, is the money you pay on behalf of your workers to provide for their retirement. Employers have Super Guarantee obligations they must meet or face penalties. Generally, if you pay an employee $450 or more before tax in a calendar month, you have to pay super on top of their wages. The Super Guarantee – what is it? The SG is currently 9.5% of an employee’s ordinary time earnings. SG must be paid at least four times a year, by the quarterly due dates. SG should be paid and reported electronically in a standard format, ensuring you meet Superstream requirements. Your super payments must go to a complying super fund – most employees can choose their own fund. If SG is not paid on time, you may have to pay the Super Guarantee charge. When do I pay my super contributions? Your contributions should be paid to a complying super fund or retirement savings account (RSA). A complying super fund is one that meets specific requirements and obligations under superannuation law. An RSA is a type of account offered by institutions such as banks and building societies for retirement savings. Two ways to check if you’re fund is complying. Get a confirmation from the fund’s trustee. In confirming their status, the fund must indicate that it intends to accept your super contributions and will continue to meet the relevant legal requirements. Will NOT count towards meeting your super guarantee obligations. May incur a fringe benefits tax (FBT) liability. When you confirm the super fund is complying, you’re protected against penalties. Making sure that your company meets its PAYG withholding and SGC obligations is your responsibility as a director. If your company fails to meet a PAYG withholding or SGC liability in full by the due date you will become personally liable for director penalties equal to the unpaid amounts. Superannuation Guarantee (SG) to employees’ super funds by the due date or, if that doesn’t occur, lodge a super guarantee statement and pay the resulting SGC liability to the ATO. If a company does not meet its PAYG withholding or superannuation guarantee charge (SGC) obligations, the ATO may recover these amounts from a director of the company. This is a notice that the Australian Tax Office (ATO) may send a director that can make that director personally liable for two types of tax debts of a company – Pay As You Go (PAYG) and Superannuation Guarantee Charge (SGC) liabilities. The traditional Director Penalty Notice which gives a director 21 days to take certain actions to avoid personal liability. The second type of DPN, often referred to as a “Lockdown DPN”, can make a director automatically personally liable for PAYG and SGC if company tax returns are not lodged on time – there is no opportunity to avoid that liability once the DPN is served on the director. Before the ATO can recover director penalties from a director personally, a Director Penalty Notice (DPN) outlining the unpaid amounts and remission options must be given to a director. Offsetting any of director’s tax credits against the director penalties. Initiating legal recovery proceedings against a director to recover the director penalty. If you are a current director at the time the DPN is given, the ATO will use your address registered with Australian Securities & Investment Commission (ASIC). Otherwise, the ATO will use the address last known to them. Please note that even if you are no longer a director of a company or a newly appointed director, a director’s penalty may still apply to you.